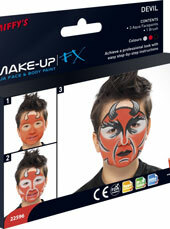 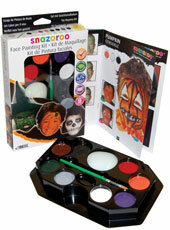 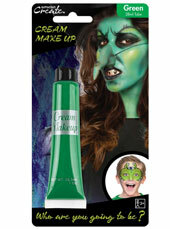 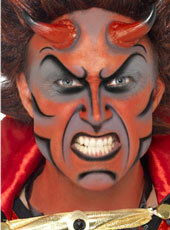 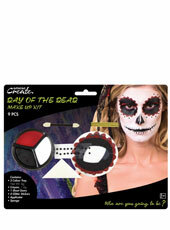 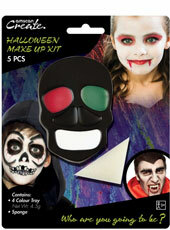 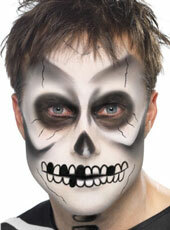 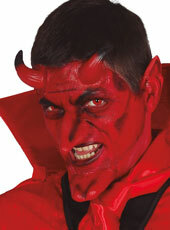 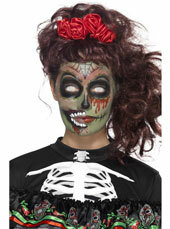 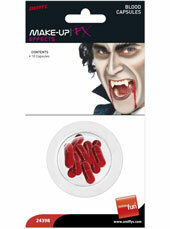 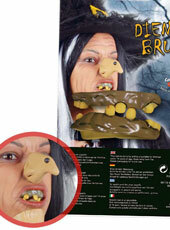 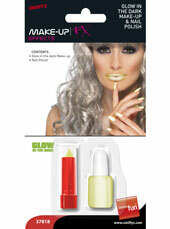 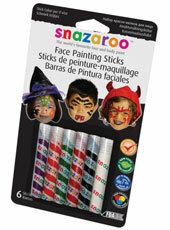 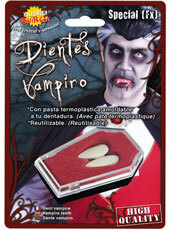 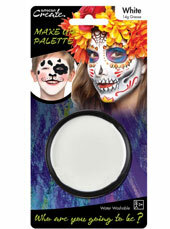 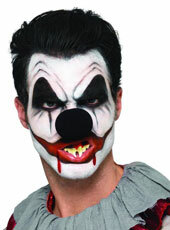 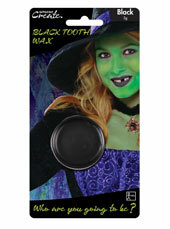 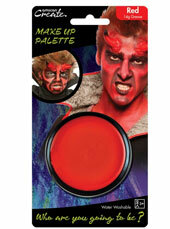 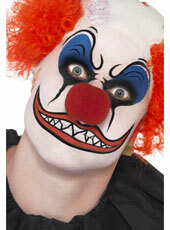 Zombie make up and face paints for witches, devils, vampires and skeletons including make up kits. 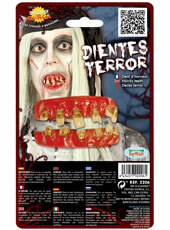 Add fake blood, liquid latex, scars, wounds and prosthetics to create really gory effects. 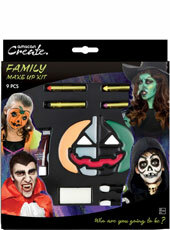 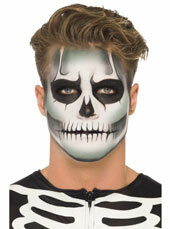 Add some horror to your Halloween outfit by applying some of these realistic make-up effects. 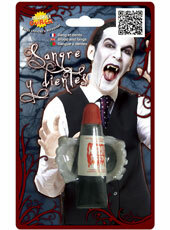 Whether you want to dress up as a Zombie, Witch, or an Accident Victim you can increase the gore factor by using latex prosthetics that become broken bones, gashes or sores. 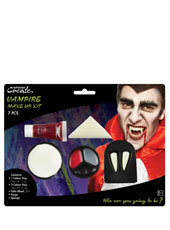 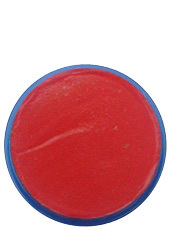 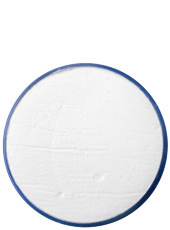 Spirit gum is used to apply the latex props, together with skin coloured make-up to blend to your own skin. 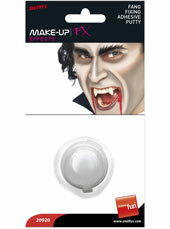 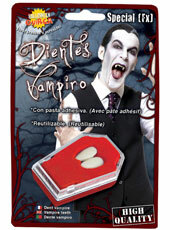 For small effects like blood trailing from a vampires mouth, liquid capsules and blood sprays will do the trick. 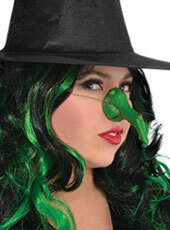 Finishing touches can be made to any witch outfit by wearing the witch nose with warts, or applying black or glow in the dark lipsticks or nail polishes.